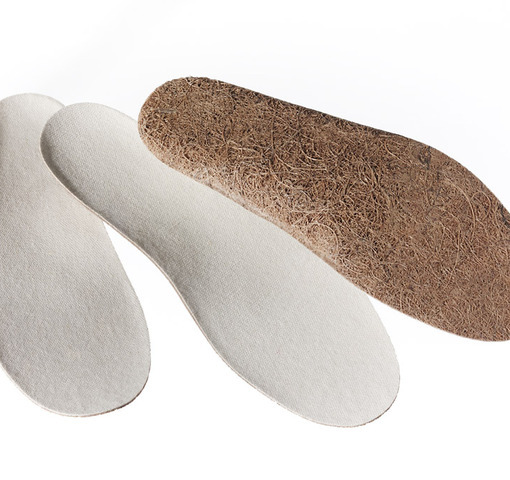 Enkev produces the raw materials for natural comfort insoles and footbeds. 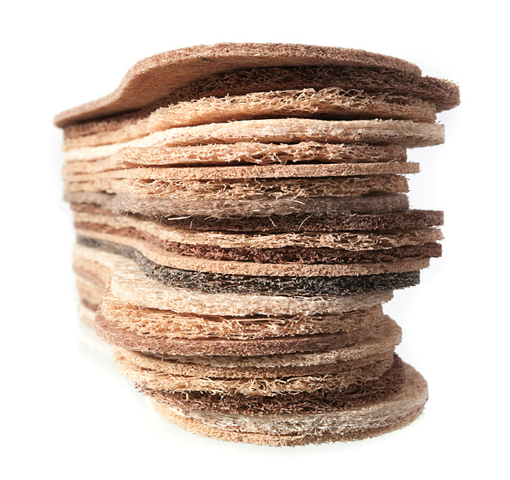 The material (coir, sisal) is very light, comfortable to wear, and thin enough to fit in fashionable shoes. The open structure allows air to flow in the sole so that humidity can evaporate. Both coir and sisal have anti-bacterial properties. The material can be shaped and moulded, allowing shoe manufacturers to make the anatomical insoles they want.